It is generally expected that the position of gas in the global energy mix will be growing. In areas like China, India and the Middle East, the growth can be seen already. In Japan the big earthquake in 2011 and the subsequent nuclear crisis has increased Japan's demand for gas: specifically LNG. Although clean energy sources attract more and more attention, the challenge remains that the energy volume to be supplied to the consumers cannot be guaranteed based on clean energy sources at the moment. A much referenced example is the energy from wind turbines in Spain where many such turbines are installed. If the wind is not blowing sufficiently the gas-fired combined cycle power plants that are on standby will have to produce the energy required in the country. Of all the fossil fuels, gas is the least polluting and is therefore attractive to meet the greenhouse gas emission targets together with other emission targets like sulfur (SOx) emissions, while at the same time enabling the position as backup energy source. The growth of gas consumption is not only expected for power generation, but also as transportation fuel as LNG or GTL fuels. These transportation fuels derived from gas are not only cleaner but also cheaper, especially if the oil-linked gas pricing model is abandoned as is more and more the case. The international oil and gas world including international oil companies (IOCs) is focusing more and more on natural gas. National oil companies (NOCs) have easier access to newly developed oil reserves than IOCs. This means that IOCs are forced to maintain their barrel of oil equivalent (BOE) reserves position to maintain their shareholder value by developing gas reserves. Gas reserves are expected to last longer than the oil reserves, which make them more worthwhile to invest in. Although conventional gas resources are still available, the locations in which these conventional gas resources are found become more difficult to get access to. More and more offshore gas resources and gas resources in harsh climate conditions have now been found and developed (e.g. in Russia). Next to conventional gas resources, more and more unconventional gas resources are being developed. The biggest examples at the moment are shale gas in the USA and coalbed methane (CBM) in Australia. Gas from both resources will be liquefied and marketed globally as LNG. What do these developments related to natural gas mean for the LNG business? It is apparent that LNG flows will be different from the expectations of a few years ago. Not only will Australia emerge as a big supplier, but also the USA, Russia and Africa will grow as suppliers. Former suppliers like Malaysia and Indonesia will become consumers next to being suppliers. Increasingly, companies are planning to use FLNG units to develop offshore gas resources which are difficult to develop conventionally. FLNG is even considered as an option to develop offshore gas resources quicker than would be possible with an onshore liquefaction development, which has been the standard so far. Floating storage and regasification units (FSRUs) are increasingly popular to provide LNG receiving and regasification capacity quickly and/or temporarily. LNG liquefaction plants are also planned in Arctic environments. The Sakhalin II development already has to cope with low temperatures. Some other planned developments in Russia will face even lower temperatures for a longer period of the year. CBM provides challenges in production but also in the downstream consumption. As the calorific value is lower than the calorific value of other LNG, it will have to be blended with LPG to provide the calorific value required by the end-users. Small to mid-scale regional LNG supply chains will be growing. These supply chains are fed either by local small to mid-scale production or by loading smaller vessels and/or trucks at traditional LNG receiving terminals. New LNG receiving terminals are developed with these facilities; some existing LNG receiving terminals already have these facilities; and other LNG receiving terminals are scheduled to be equipped with these facilities. A development not directly related to the general LNG market developments is the increasing interest in the custody transfer measurement of LNG. The current methods are field-proven and generally accepted in the market, but could potentially be improved. These improvements could lead to changes in the way LNG is contracted and can provide handles for the custody transfer aspect for the small and mid-scale LNG business. Which requirements are associated with these changes in the LNG business? For the marine part of the LNG business a general challenge is to get data from the vessels to onshore locations where the data is analysed or where the business applications are running. For vessels at jetties this should not provide any real challenges. For these vessels, modern broadband Ethernet connections can be made available. 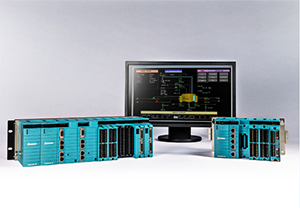 For vessels that are offshore and not close to the coast, the available connections will have less bandwidth. For these situations, a good design and selection of which data to transfer is required, together with specially designed software tools that enable the transmission of relatively large amounts of data without losing them. Next to excellent project planning and highly modularised developments, the projects in Arctic environments require robust equipment and low failure rates as repairs will be virtually impossible during most of the year. For the CBM projects, MES solutions with integrated planning and scheduling tools for the whole supply chain from well to liquefaction plant can help solve the problem of unnecessary loss of capacity. On the consumer side of LNG from CBM, well designed control algorithms and appropriate analysers will enable the stable blending process of LNG with LPG. Figure 1. Example of a mid-scale LNG supply chain facility in a rapidly developing Scandinavian market. For the small and mid-scale LNG supply chains the requirements are probably the most challenging. Not only do these supply chains mostly not exist, but the experience with how to manage these supply chains is limited as well. Different players from those in the 'traditional' LNG supply chain from large liquefaction plants to receiving terminals with regasification facilities are the operators of the small and mid-scale LNG supply chains so far, which means that knowledge and experience cannot be as easily obtained as when the same players would be involved. As mentioned before, the basic options for feedstock for small and mid-scale LNG supply chain are from a small liquefaction plant or from a large LNG terminal with vessel and/or truck loading facilities. The end-users are gas consumers with their own storage and small regasification facilities: ships, ferries, trucks or cars. In between are intermediate terminals, bunkering vessels and/or truck loading stations. Requirements for the small and mid-scale LNG supply chains start with the small liquefaction plants. As with big liquefaction plants, starting them up and operating them is not easy. Good operator training systems will not only help train the operators but can also help to understand whether the process is designed properly in dynamic circumstances. Figure 2. Diagram of a small and mid-scale LNG supply chain. As the number of LNG transfers is relatively large, the safety risk increases. 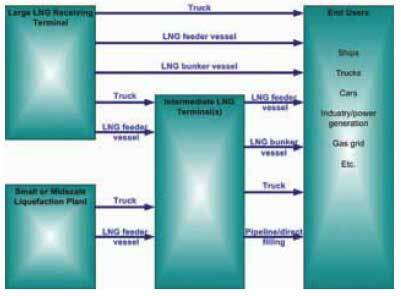 Safety systems on both sides of the LNG transfer and links between both sides are required to help prevent accidents. Management of the supply chain will require local and central (terminal) automation systems. The central automation systems have to allow the easy addition of stations, as these can be added frequently. 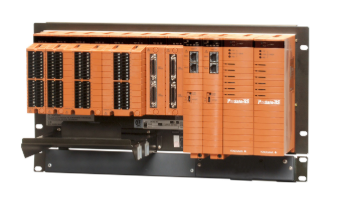 The use of a SCADA system with a modern design for configuration and interfacing together with a similar terminal automation system are essential for this. In the situation where the source of LNG in the small or mid-scale LNG supply chain is from a large LNG receiving terminal, a challenge will be to combine the traditional energy-based management of the terminal with a different model, as is typically used for bunkering, for example. A combination of different measurement technologies and more extensive mass balancing will be required to support this.